Methane is 36 times more damaging to the environment than carbon dioxide, and livestock are responsible for emitting 44 percent of the greenhouse gas around the globe. Fortunately, a team of Australian scientists discovered that adding dried seaweed to sheep and cattle feed can cut global methane emissions by 70 percent – which is the equivalent of eliminating India’s nationwide carbon dioxide emissions. 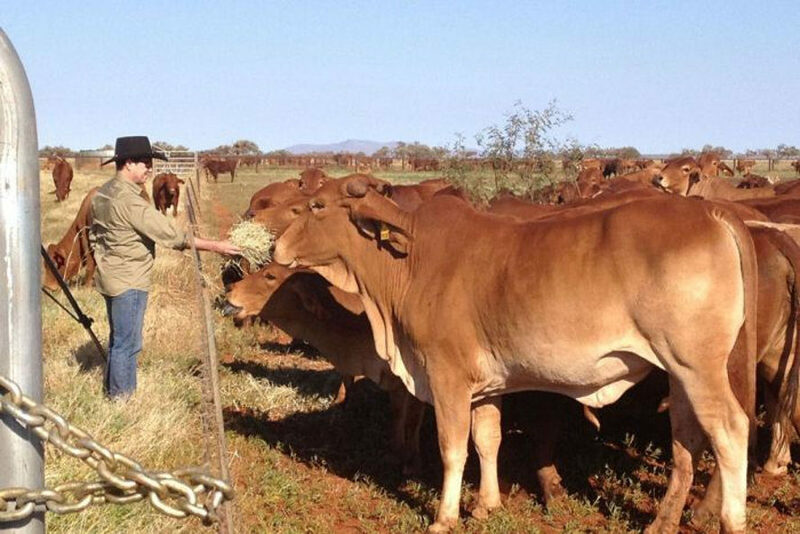 Rocky De Nys is a professor of aquaculture at James Cook University (JCU), and he has been leading the efforts to develop a seaweed-infused cattle feed that could fight climate change and help save the world. The need to reduce methane emissions from livestock has been urgent for some time, and new information illustrates that the situation is becoming more dire with each passing year. In a 400-page report entitled Livestock’s Long Shadow published in 2006, the United Nations Food and Agricultural Organization evaluated the environmental damage done by the world’s 1.5 billion cattle. The study found that livestock are responsible for 18 percent of greenhouse gas emissions, and methane accounts for most of that. That means cows contribute to global warming more than cars, planes, and all other forms of transportation combined. Past studies found that around 90 percent of methane from cows actually stems from their burps, rather than gaseous emissions from the other end, and the UN report confirms this. Because of that tidy little tidbit, scientists have been working for years to fidget with cows’ digestive systems in an effort to reduce those toxic burps. In 2014, experiments found that adding garlic to cows’ diets could reduce their methane emissions by 40 percent but, at the time, they hadn’t yet determined how to keep the garlic from transferring to the flavor of the cows’ milk. A study the following year tinkered with the use of a controversial hormone treatment to speed up conception in young cows, translating into more milk production per cow without the need for additional land, thereby having the effect of reducing methane emissions for small farms. That technique has so far only been used in computer modeling, and is not expected to be introduced to living cows for quite some time, if ever. De Nys and his research team at JCU tested 20 different varieties of seaweed, which is known to aid in digestion and reduce gaseous emissions even in humans. (Beans are often cooked with kombu, a type of seaweed, in order to make them less of a ‘musical fruit.’) Where cows are concerned, scientists found that the species of red seaweed called Asparagopsis taxiformis is most effective in reducing methane burps, and they have been harvesting it off the coast of Queensland to aid in their research. 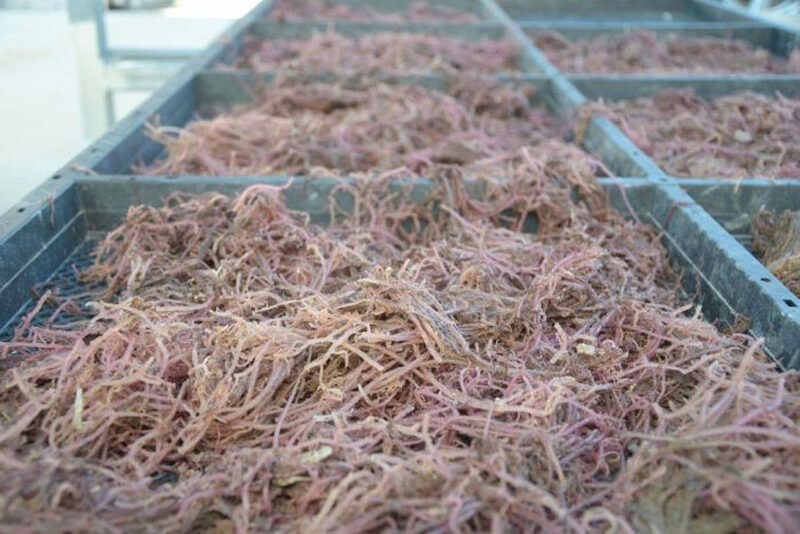 Using an artificial cow stomach that operates a bit like a compost bin, the research team found that a diet consisting of two percent red seaweed and 98 percent typical feed resulted in methane levels that were 60-70 percent lower than without seaweed. Better yet, stop eating beef and drinking milk..98percent of the problem will be solved with only 2 percent remaining from butter and yogurt. If the cattle fed on grass in the first place the grass has already absorbed its share of carbon as it grew. There is nothing added. Cows do not create carbon. A team of researchers in Australia discovered that one species of red seaweed can help reduce methane emissions from livestock by 70 percent if a small amount is added to their diet. 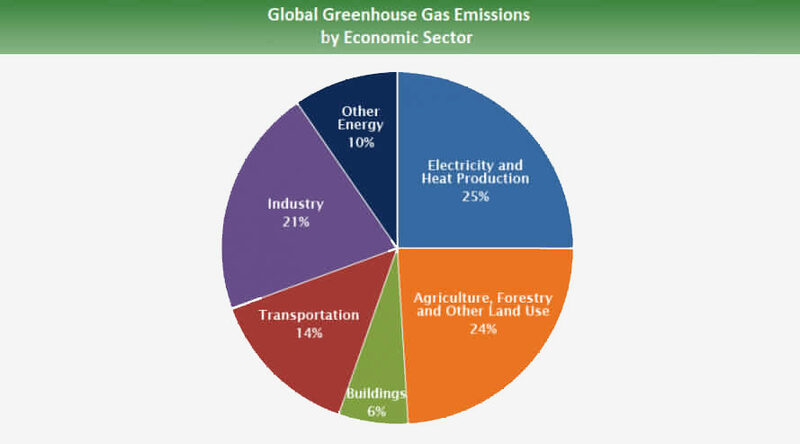 Livestock emissions contribute more to global warming than all emissions from cars, trucks, and other forms of transportation combined. Methane is 36 times more damaging to the environment than carbon dioxide, and livestock are responsible for emitting 44 percent of the greenhouse gas around the globe. Fortunately, a team of Australian scientists discovered that adding dried seaweed to sheep and cattle feed can cut global methane emissions by 70 percent - which is the equivalent of eliminating India’s nationwide carbon dioxide emissions. Rocky De Nys is a professor of aquaculture at James Cook University (JCU), and he has been leading the efforts to develop a seaweed-infused cattle feed that could fight climate change and help save the world.